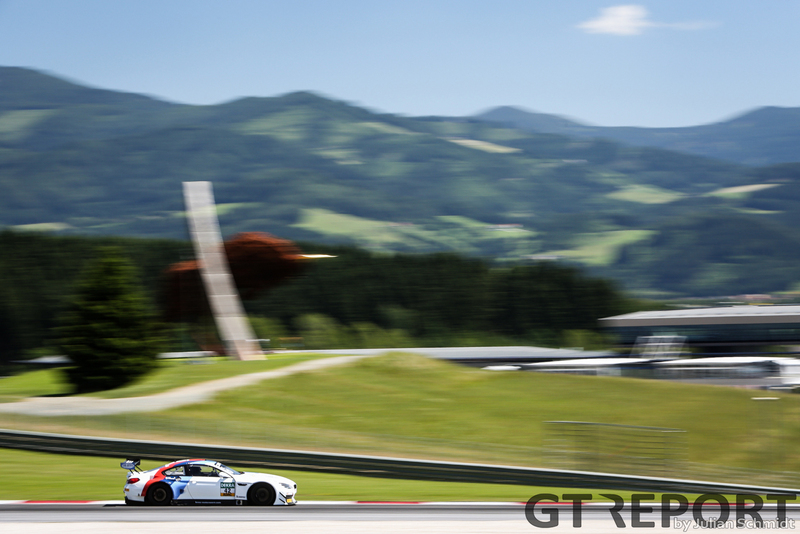 As the five red lights on the starting gantry went out, 28 GT3 cars were unleashed up the hill towards turn one. 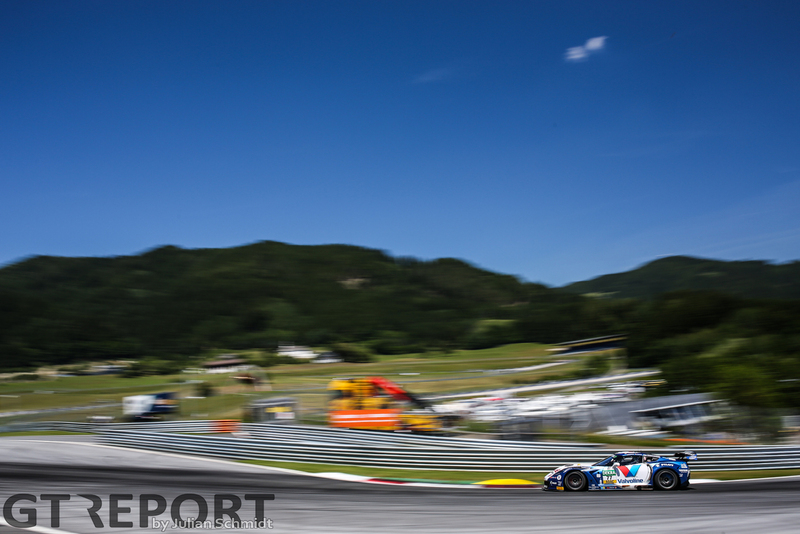 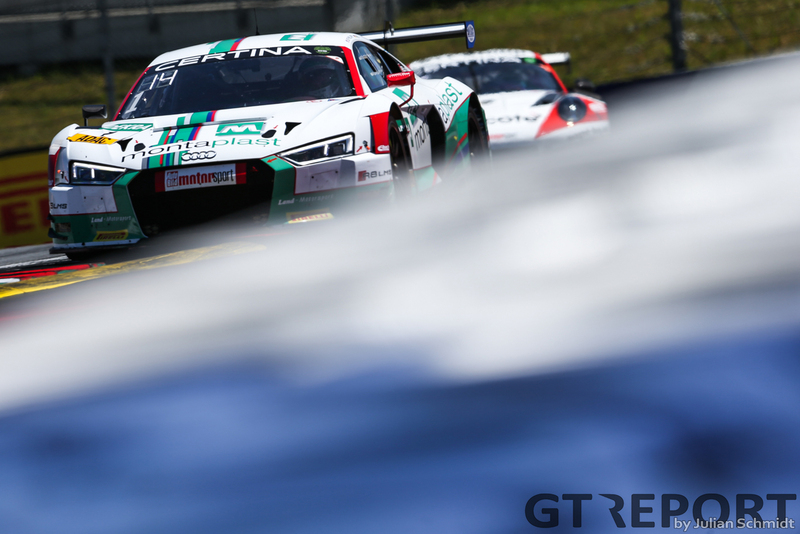 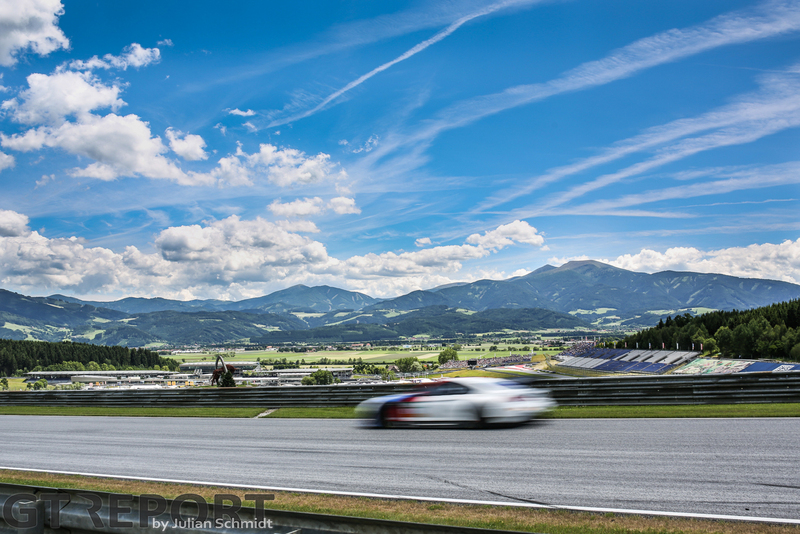 The pristine silence of the Murtal was shattered with the sound of the ADAC GT Masters. 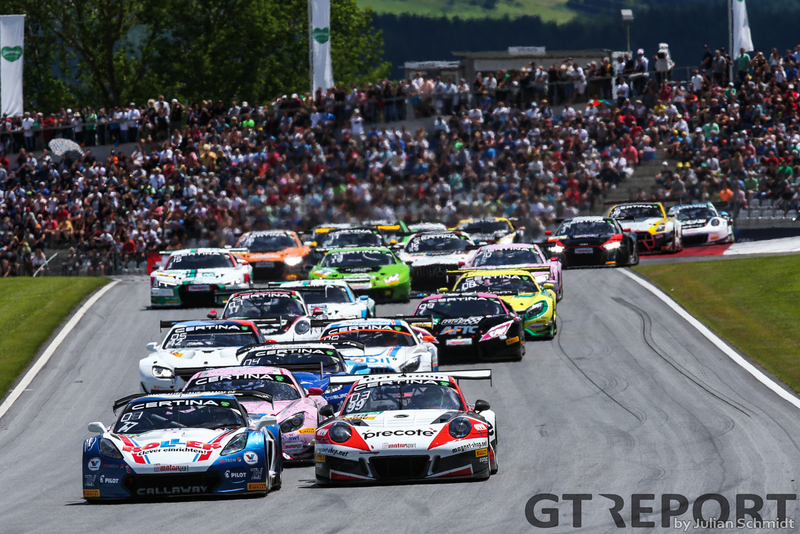 The Callaway Competition Corvette C7 GT3-R scored a 1-2 in the fast paced race one on Saturday, but as we see almost every weekend, the first one isn’t always a true representation of what happens on Sunday. 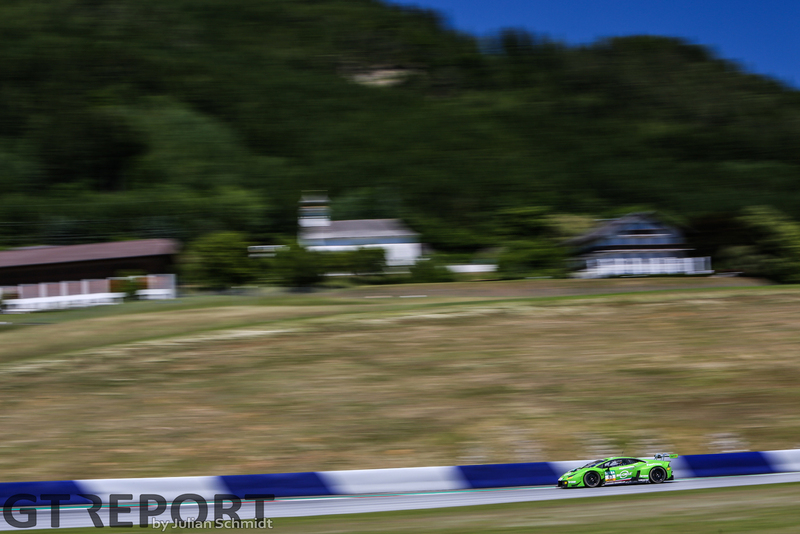 Grasser Racing where back on form after starting from the rear of the grid in the first race, as the number 63 Lamborghini Hurecán GT3 of Christian Engelhart and Rolf Ineichen topped the second qualifying session earning them pole position for race two. 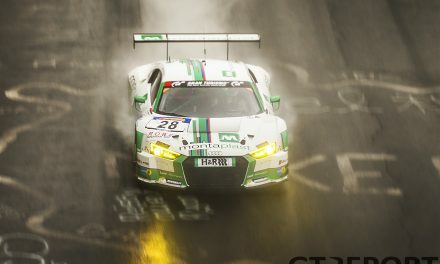 As if the miserable weekend in Zolder never happened, Engelhart took charge of the field on Sunday. 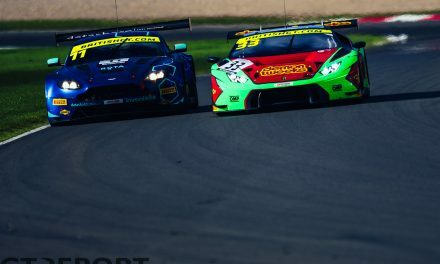 The wildlife bolted left right and centre as the pole sitting Grasser Lamborghini emerged out of the first corner in the lead. 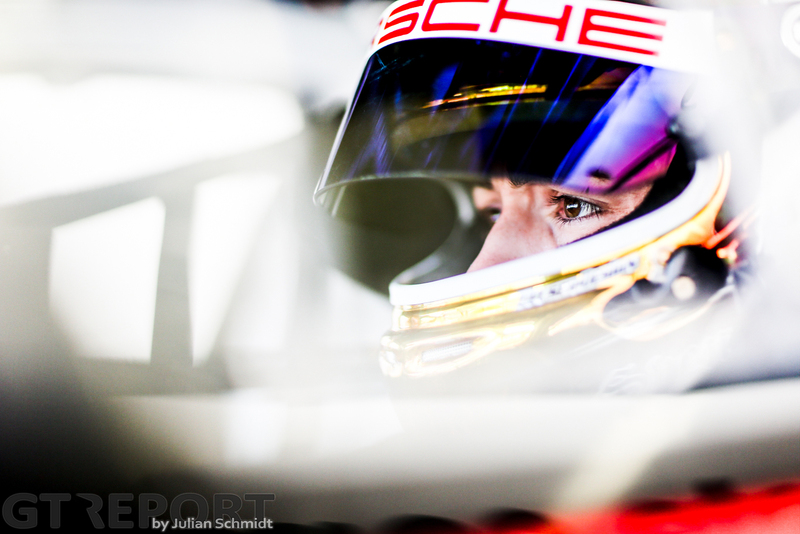 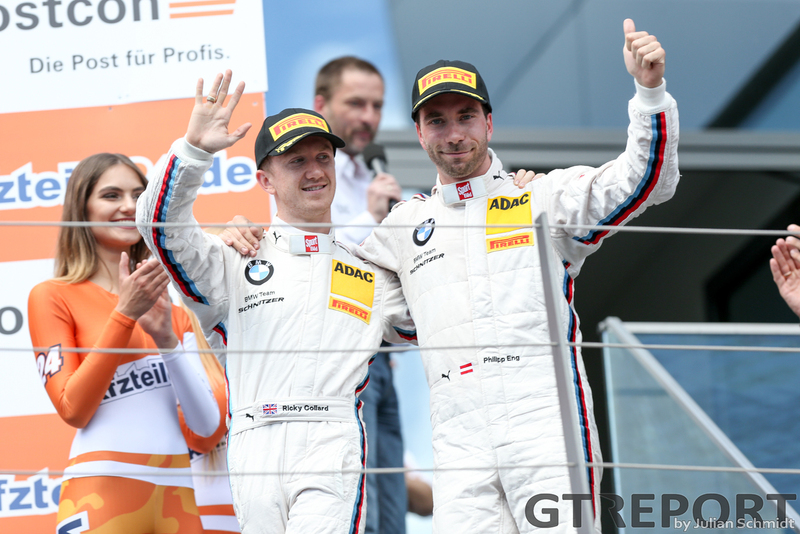 From there, the German controlled the pace throughout the one-hour sprint race. 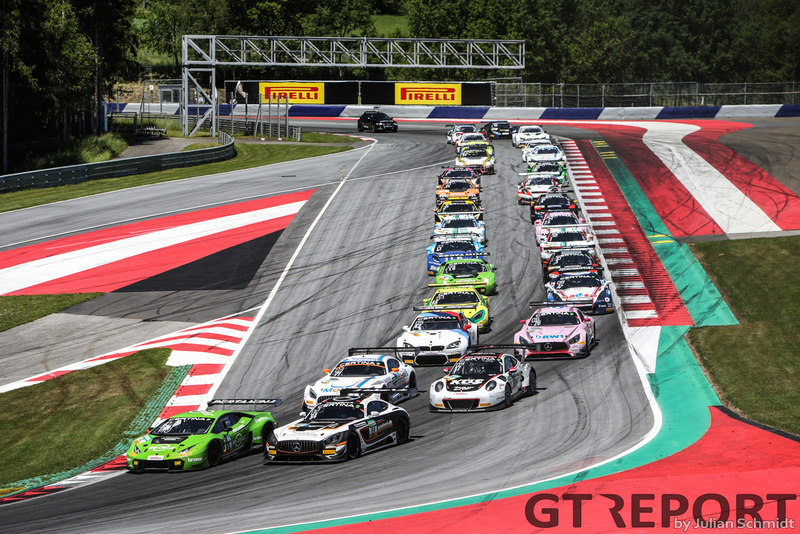 Ineichen took over from Engelhart in the pit stops and brought the car home to the finish and added another race victory to end a highly successful spring season for Lamborghini. 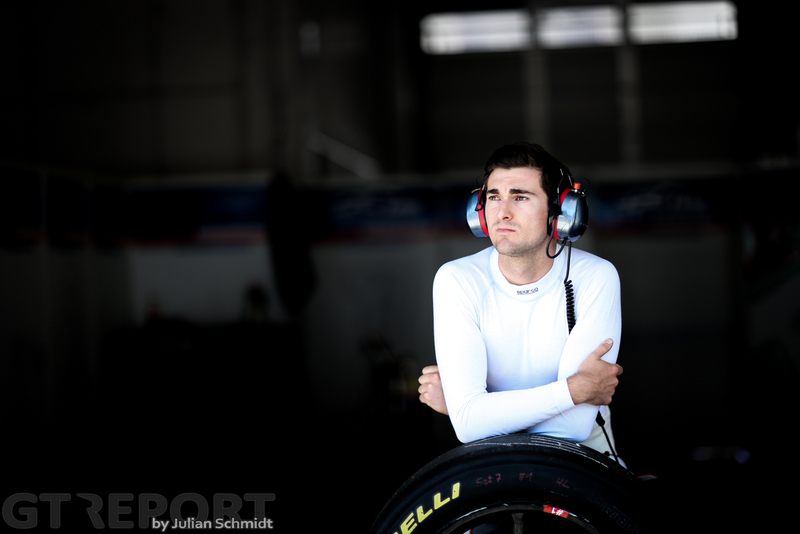 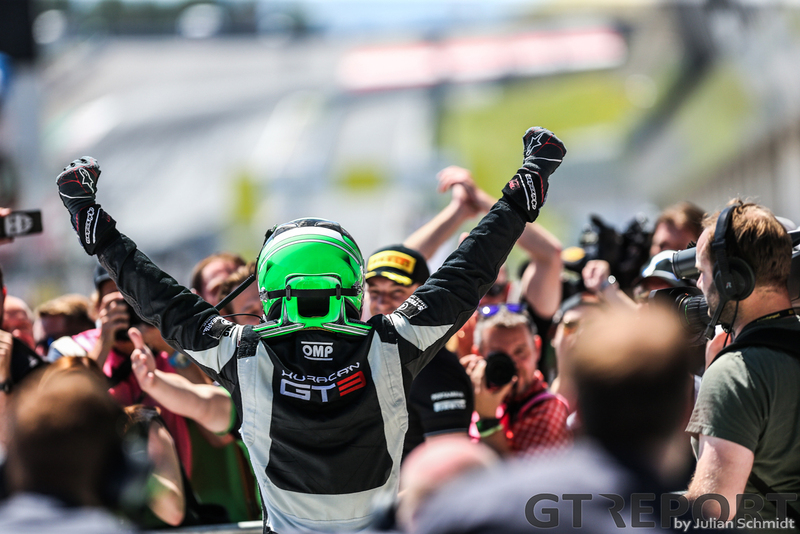 This being their home race, team owner Gottfried Grasser struggled to contain his emotions and was absolutely elated as he celebrated with all the crew and engineers. 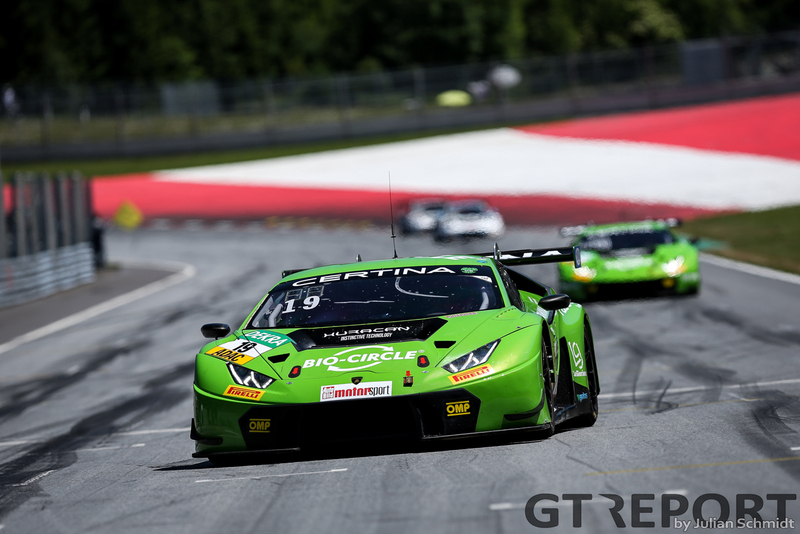 Behind the GRT Lamborghini things weren’t as glorious. 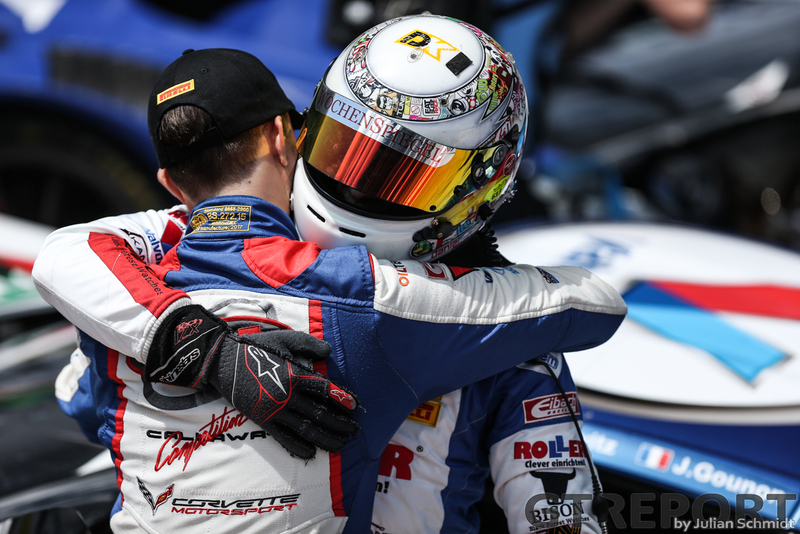 It was an all-out brawl for the final steps on the podium right the way through the 60 minutes and even on the cool down lap. 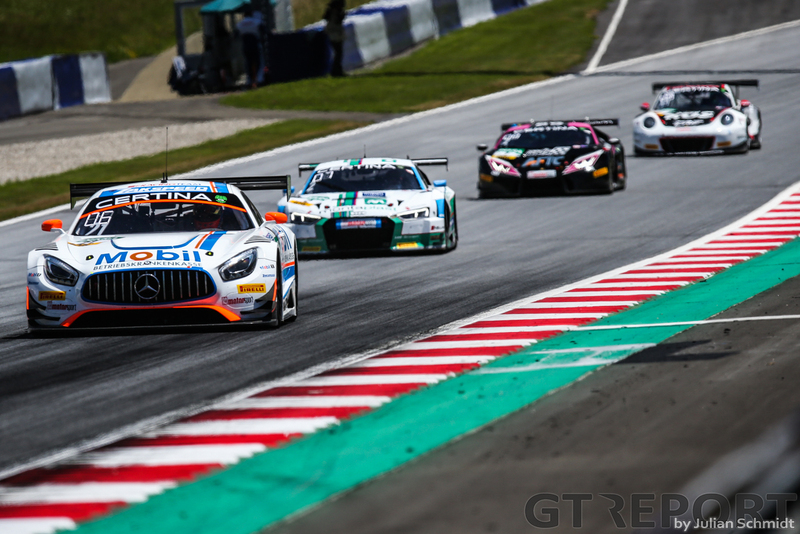 Three AMGs, a BMW and one of the Callaway Corvettes all duked it out for the remaining trophies. 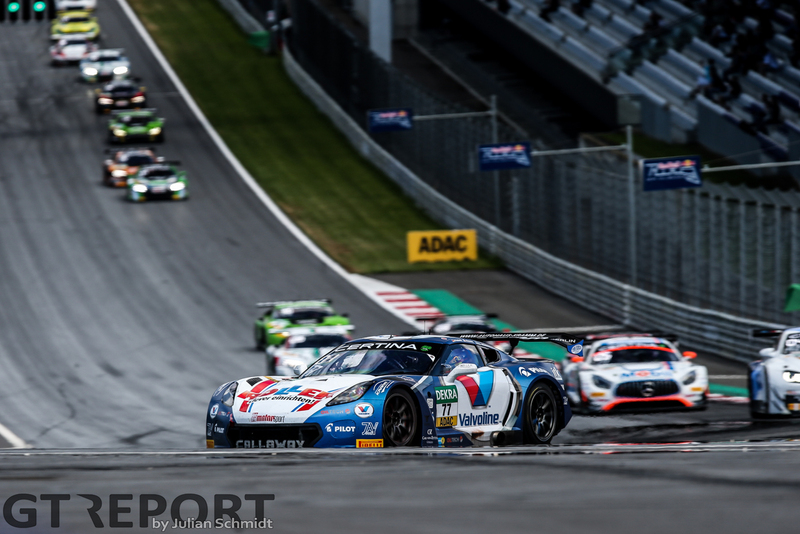 In the end, Mücke Motorsport’s Sebastian Asch and Lucas Auer grasped the silverware for second place, fending off the winners from the day before. 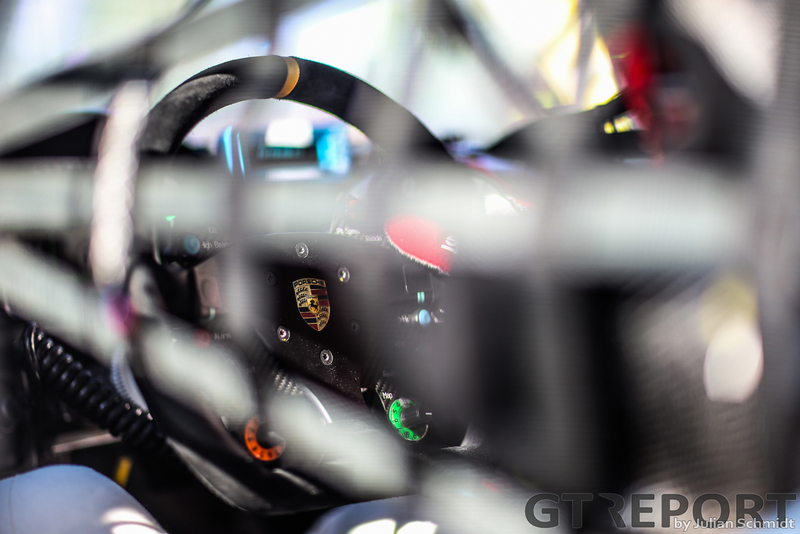 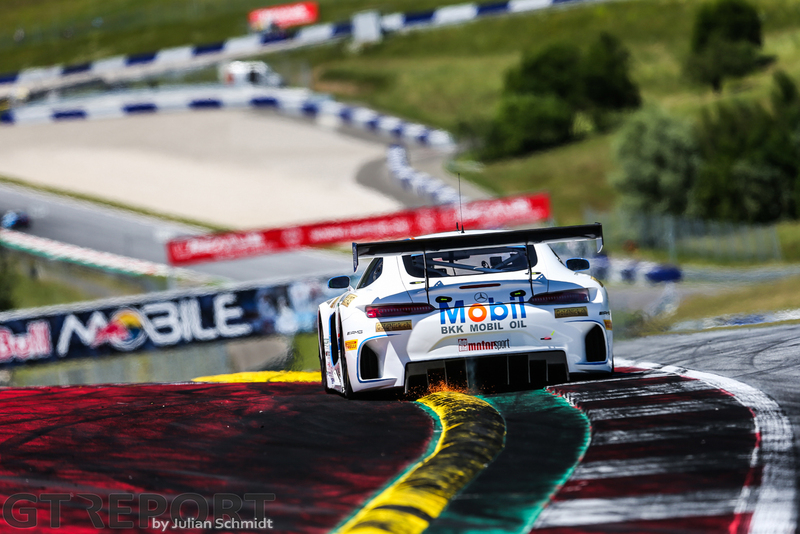 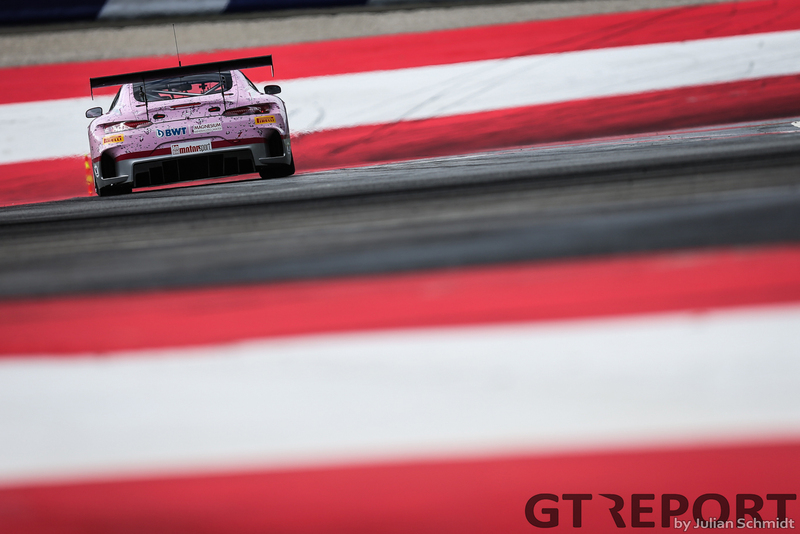 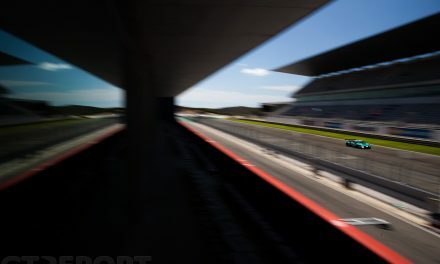 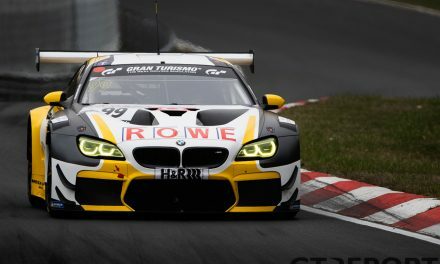 On Saturday it was looking like a promising weekend for reigning ADAC GT champions and recent Nurburgring 24 Hours winning team Land Motorsport. 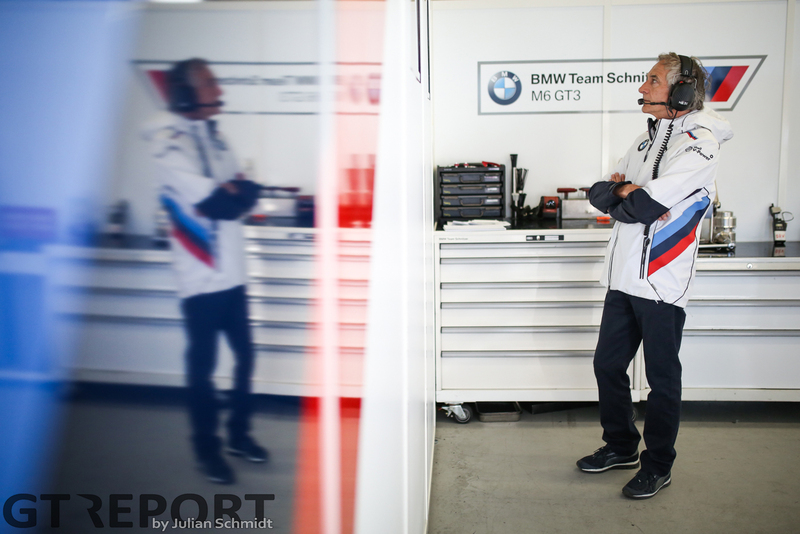 Instead, Wolfgang Land’s crew packed up early with a two-car retirement in the second race. 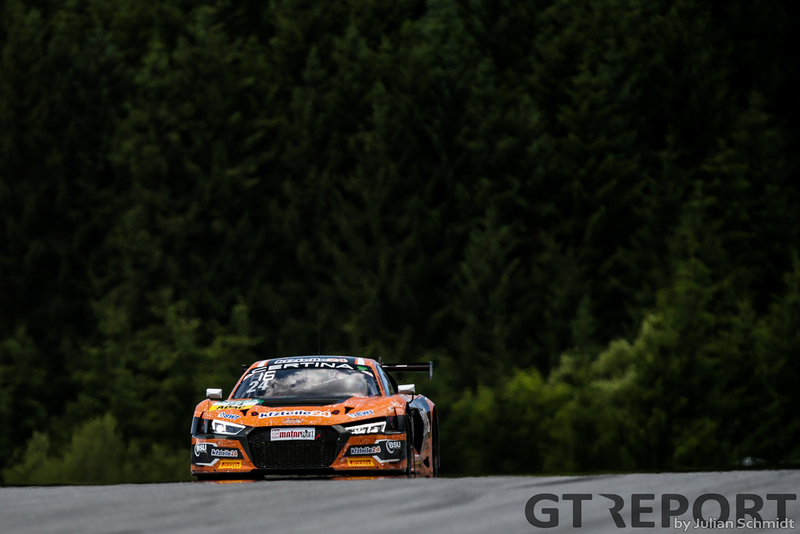 Both R8s suffering from a terminal gremlin, forcing the Land boys to park both Audis. 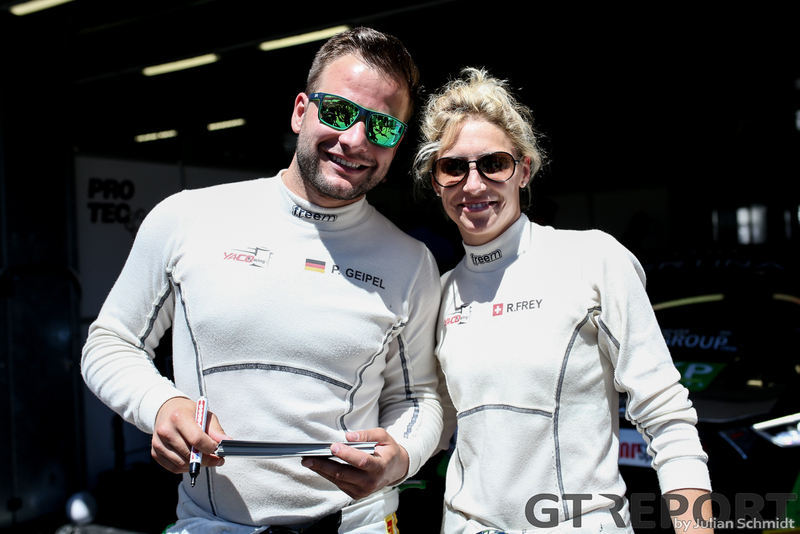 So, onwards and upwards for Grasser Racing. 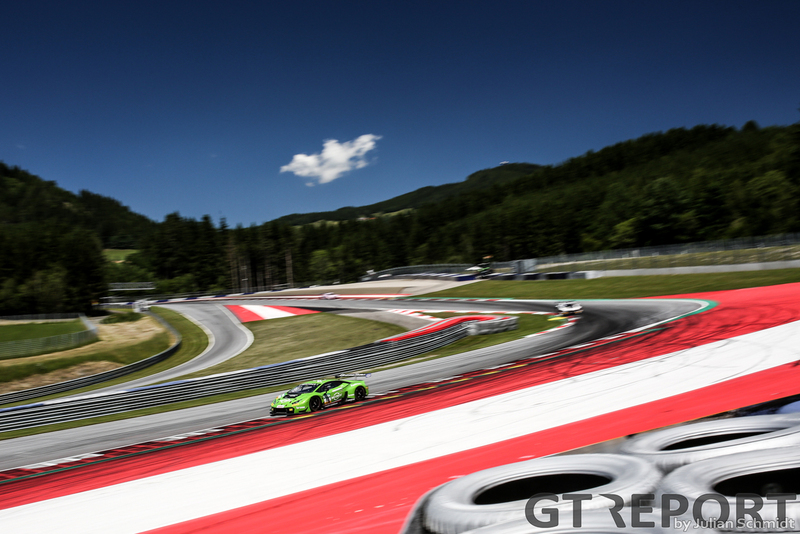 The unmistakable green Lamborghinis had dominated in other parts of Europe so far this year and is this another representation of their strong form. 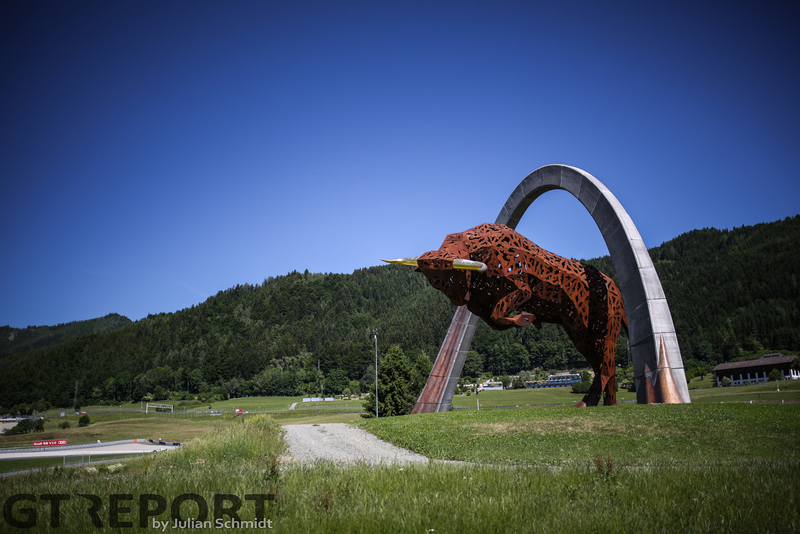 Either way, the Austrian-Italian crew is delighted to taste champagne at their home race with the factory just a few minutes down the road from Spielberg. 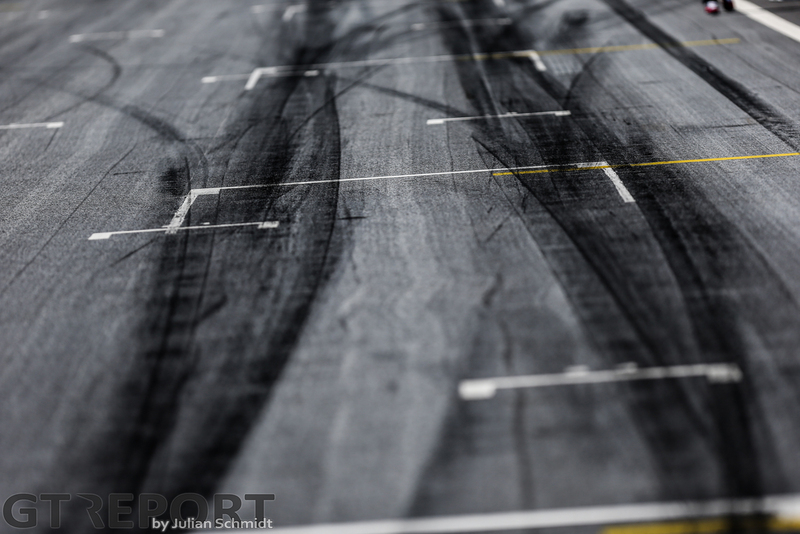 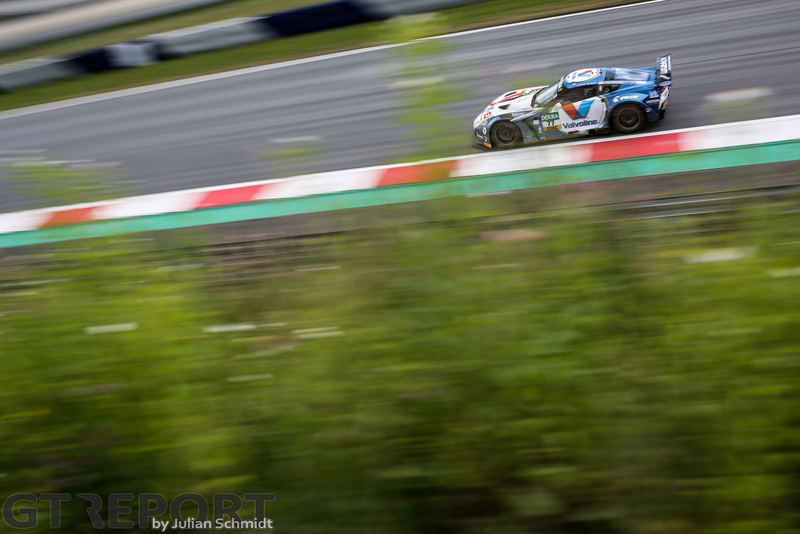 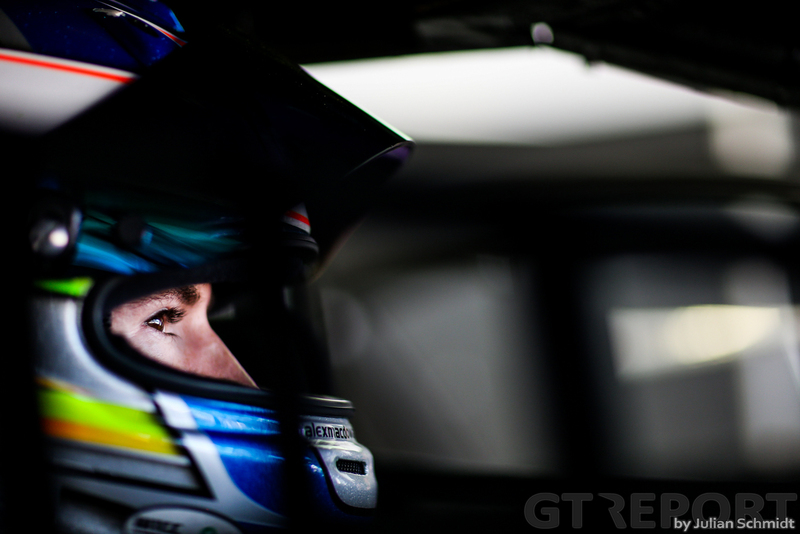 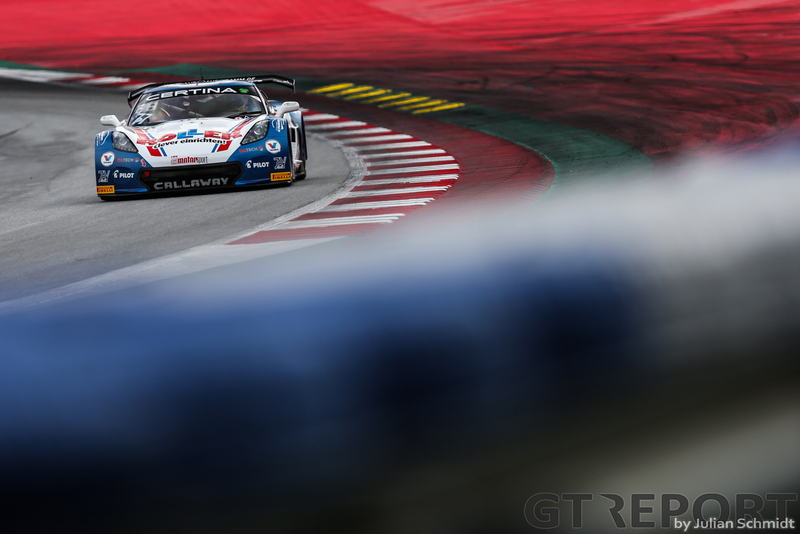 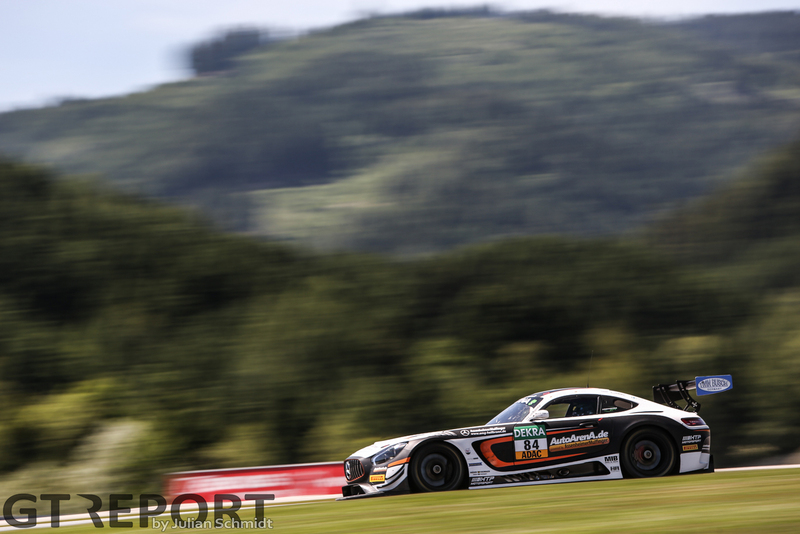 From the Österreichring the ADAC GT Masters heads off to Zandvoort in the Netherlands. 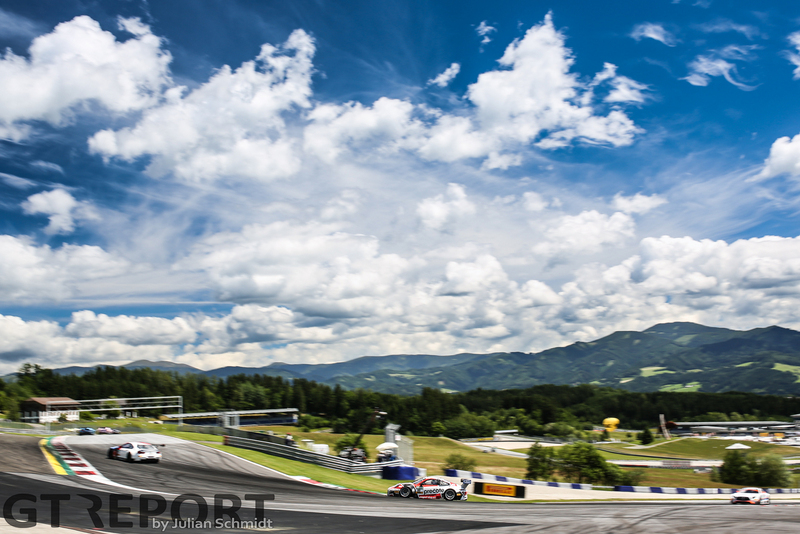 The tight and twisty 4.3 kilometre circuit hosts the fourth round of the championship from 21 through 23 July.